We support changes to the City Charter. 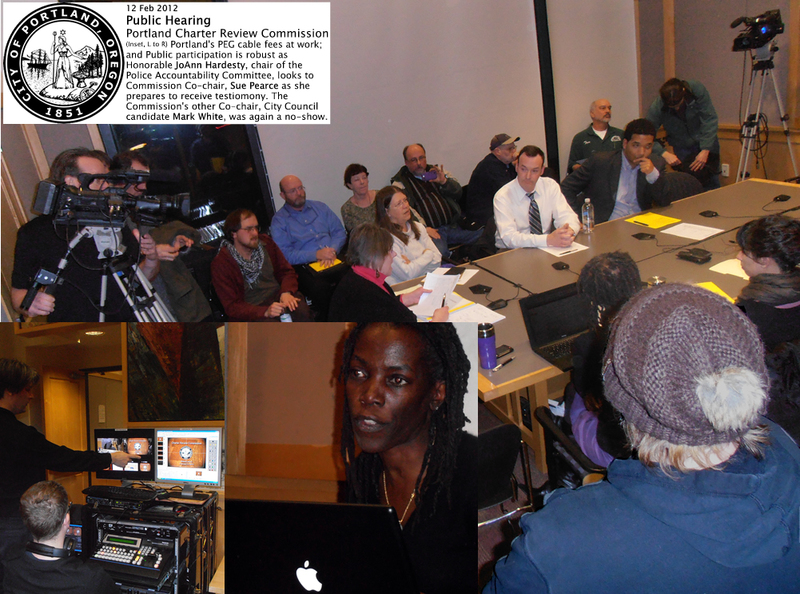 Jo Ann Hardesty was appointed to Portland’s 2012 Charter Review Commission … shut down before it could finalize proposing the City’s foundational document be amended to incorporate meaningful police accountability. (We’re still waiting on Commissioner Amanda Fritz to fulfill her 2012 campaign promise, to re-initiate charter review.) In the next go ’round, we’ll be supporting specific (perhaps bioregional) council districts: electing Portland City Commissioners ‘at large’ keeps them aloof from distinct constituencies. Unable to elect commissioners locally, historically black communities were unable to integrate usually homogeneous, all-white local authority. 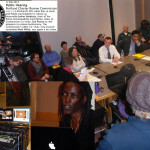 We encourage another change to Portland governance: directly elect and compensate a Police Commissioner. Someone must now be made accountable for holding police accountable, particularly in light of DoJ Findings that establish the City has been employing police to violate our Constitutional protections. It’s time to amend the City’s constitution, so that The People obtain redress from grievances of illegal violence by local authority. Our ability to discipline police is demonstrably counter-productive. As far as we know, Officer Ron Frashour does not report to work, following his 2010 homicide of unarmed Aaron Campbell, shot to death while in the act of submission,during a police ‘welfare check.’ After the City ordered the sniper fired, Mayor Adams restored all back pay in 2012. Frashour continues to collect a pay check. This systemic dysfunction sends a message: get caught mortally depriving someone of their civil rights, the City will settle with the heirs (in this case, covering $1,200,000) and provide a stay-at-home job. This is not a disincentive to illegal use of force. The City then spent over $1,000,000 trying to re-fire Frashour. 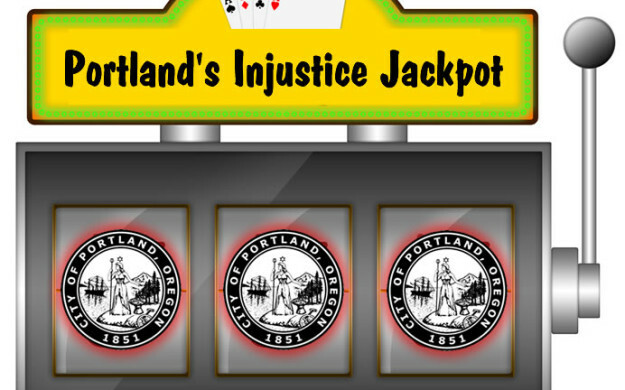 When the police union contract came up for renewal last year, Portland City Council simply re-approved all of the mechanisms which resulted in this miscarriage of justice. Police and its City Attorney have never made a case for termination that an arbitrator can uphold. It’s been no one’s job to fix this. Remedy of this dysfunction is no one’s business. Making compensation for a new position (Police Commissioner) with a bonus dependent on devising a means and raising the political will to amend the City’s collective bargaining agreement with the Portland Police Association, should become someone’s job. And we like the title ‘Commissioner,’ for it conveys the idea of an assembled body. We believe one responsibility of a Police Commissioner would be to draw from the consent of the governed. That police have been so long engaged in organized, corruptive self-protection is largely due to the fact that the City has insulated employees from public oversight. Our failed ‘Independent’ Review Board (IPRB) wholly depends on the Police Bureau’s Internal Affairs Unit for discovery of facts. The Human Rights Commission lends their authority to a sham Police Community Relations Board that is police-centric at it’s core. The City uses Police as gatekeepers for whomever should seek to sit on advisory boards which might bring cops under rule of law. The City then hides minutes, meeting schedules and work products of these boards from public view. Given our absolute lack of knowledge of police intelligence operations, it’s time for more transparent authority. We contend sufficient resources exist within our community to bring remedy. We (The People) have the capacity and the acumen. We contend it is our responsibility to assert a means to bring justice where it is structurally denied. Given ongoing psychological and physical trauma that abdication of this responsibility has wrought, we assert is a moral obligation to bring a someone into distinct authority over police misconduct. We could provide a case study on a monthly basis, but are inspired by yet another round of failed disciplinary processes. Having studied the Federal plea deal awaiting judicial approval, we realize police discipline processes were left intact in the proposed Agreement. PPB Captain Mark Kruger’s Nazi sympathies ‘disgraced’ the department in 1999. He was ‘disciplined’ in 2010, after they finally came to light. Meanwhile, in 2002 and 2005 Federal trials for illegal use of force, juries did not hear of Kruger’s misconduct. Last year, repeat-offender Kruger retaliated against Sgt. Kristy Galvan, who had played a role in the 2010 Internal Affairs investigation into his conduct. The City Attorney has been a pillar of strength, keeping Kruger and his ilk in their jobs. They hid evidence of Kruger’s Nazi sympathies from the public as they defended him when anti-war protesters accused him of excessive force in 2002 & 2005. This week, Mayor Hales relied on the City Attorney’s counsel – warning him not to fight Kruger’s lawyers, and the Portland Police Association – when he authorized this latest round of payouts for misconduct. The People deserve better legal advocates, those with the means (investigators) to defeat City exoneration of bad cops: the Police Commissioner’s office should have its own counsel. The Commission itself must respond to an Accountability subcommittee, which ought to be tasked with replacing the Auditor’s failed IPRB. A succession of police chiefs have regularly handed the City their bills for police overtime. It’s a budgetary failure that goes on and on. We know no one in City Council has the political will to address span-of-control issues, in a department that requires downsizing as crime rates have dropped. These tangled failures are evidence of a lack of managerial control, but when problem conduct by police regularly results in career advancement and economic reward for the perpetrators, you have ongoing, criminal enterprise. Portland has organized election of City Commissioners so that minority constituents in the nation’s whitest city have no representation they can relate to ethnically. City Commissioners oversee what the DoJ Civil Rights Division termed a ‘self-defeating accountability system’ (pg. 27 & below). It’s time to fix responsibility for these civil rights defects. It’s time to fix the City Charter. 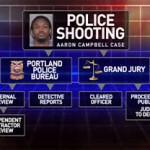 Four and a half years after killing Aaron Campbell, an arbitrator finds 80-hour suspensions for three involved officers “were not too severe.” This reporting indicates the City continues to appeal another arbitrator’s ruling that exonerated sniper Frashour … to the Oregon Court of Appeals. We find it in poor taste that Portland’s Mayor Hales hopes survivors “will find closure.” We’d prefer jail doors close behind Frashour and his trainers. We’d prefer a police force truly concerned that taking life unlawfully will lead to severe consequences; that someone introduce disciplinary policies that will deter police killings of unarmed citizens. You have kept up the moral tone and public voice of reasonableness and accountability. There are some additional options we as advocates for police reform across the nation – who have had direct involvement with the DOJ in our hometowns and cities and regions – can bring to the table in DC. Its time, and I believe we can make change happen, beyond our relative, recalcitrant, [Fraternal Order of Police]-dominated, local elected officials – and oftentimes affected judiciary – and get to the bottom of this problem … by seeking change a level beyond such regional complex political and economic strongholds. Its not an easy undertaking but perhaps, given your quality efforts and time to date spent on such complex societal issues, we can move forward to take the arguments to a much higher place of authority than our various local boards and commissioners, which ultimately always become subjected to local cultural and the darker underworld … and oftentimes supports the worst instincts among our modern-day policing cultures.